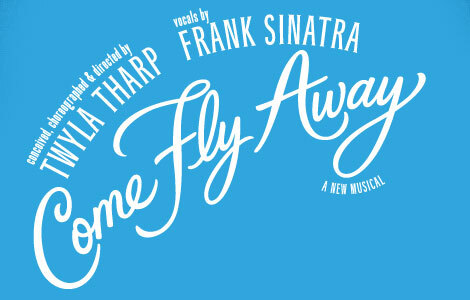 Come Fly Away, a brand new touring Dance Theater extravaganza just opened this past week at the gorgeous Bank Of America Theatre in Chicago for it’s limited two-week only engagement January 10th-22nd, 2012. 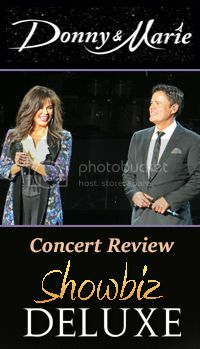 If you are a fan of the legendary Frank Sinatra or of Dance Theater, than this electrifying spectacle will leave you memorized and impressed by the extraordinary live orchestra, which accompanies the smooth and chilling distinctive vocals of Ol’ Blue Eyes in addition to the jaw dropping choreography performed by world class dancers. The production runs just a little over an hour and a half with no intermission. The stage is set with a classy backdrop of elegant curtains covered in sparkling lights and a glass top bar with a chair and tables. The focus is on the story of love, lust and relationships, not the visuals. The sleek costuming and colorful array of dancers brought forth a unique offering to the style and conditioning of the plot. One must pay very close attention to the musical for no words are spoken, just expression through dance and emotion. This wonderful musical is not recommended for children due to the immensely sensual and provocative dance routines and various scenes of passionate encounters among the cast of dancers. One of the greatest highlights of Come Fly Away is the flawless contribution by world-renowned artist, Twyla Tharp and precise stage managing by the one and only Gregory Victor. Bravo to the team, cast and live orchestra! !